Galactomannan present in plant seeds is the key factor that works out effectively when converted to gum powder. Cassia tora contains supreme quality and quantity of galactomannan which works uniquely than the galactomannan of other seed gums. In addition to that, cassia gum with anionic good gum produces considerable effect on the synergy of food grade thus restricts synergistic gelling effect when combines with anionic polymers. Due to this even adding relatively smaller amount of cassia tora gum powder can produce excellent gelling property. As a result of this cassia tora gum powder is considered as a cost effective and reliable source for producing gelling effect when applied in small amount when compared to the need for larger amount of carrageenan and other sources. Professor Symon M. Mahungu and Mrs Inge Meyland observes that the gelling effect of cassia tora gum powder can be explained in details with more experimental proofs to show how exclusive cassia tora gum remains better option than other seed gum powders when applied to obtain fast and cost effective gelling. They have also framed chart and graphic representation to explain about the gelling property and break strength of cassia tora with other gum powders. 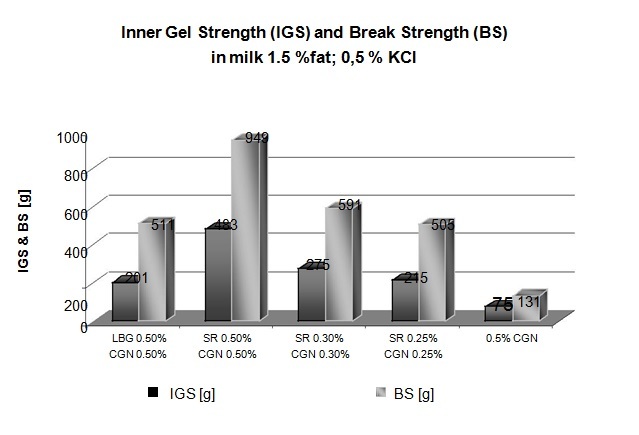 Inner Gel Strength (IGS) and Break Strength (BS) of Cassia Carrageenan in comparison with locust bean gum and other carrageenan gels vary significantly. 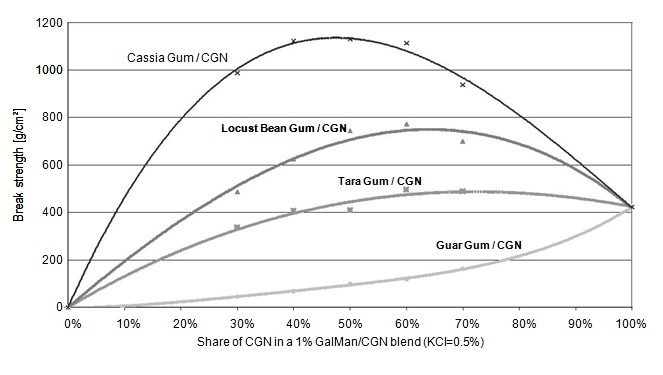 The galactomannan present in the refined cassia gum powder is unique with that of others such as locust bean or guar gum as it contains comparatively lesser galactose molecules and long mannose chain. The above property of refined cassia gum allows it to produce considerable effect on the synergy of food grade cassia gum when combined with xanthan or carrageenan. When compared to other gum powders xanthan and carrageenan when combined with cassia gum produces considerable effect on the food grade gum powder synergy. Xnathan and carrageenan are anionc food gums which produced synergetic gelling effect due to the presence of higher amount of galactose chains present in cassia tora gum powder. Replacing cassia gum in the place of carrageenan or locust bean galactomannan it is experimentally proved that the amount of hydrocolloid is reduced considerably. LeRoy Holm is his book “World Weeds Natural Histories and Distribution” has provided ample reliable sources about the real species of Cassia Tora. Cassia tora belongs to the Caesalpiniaceae subfamily of the Leguminosae and there are 180 genera in this subfamily. Among them cassia occidentalis and cassia tora directly belongs to cassia genre. 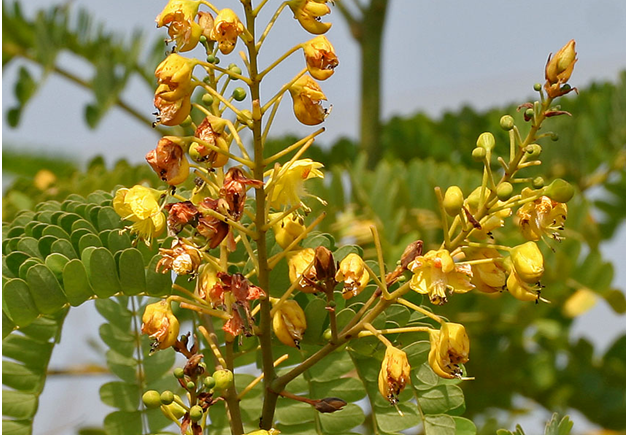 The fact behind safety of usage of seed gums from these two types of plants was found after several researches have been proved about the toxicity present in Cassia occidentalis when it was tested with animals. Though seed gum extract is possible in these two varieties, cassia tora proves to show meager or lesser quantity of toxicity. Why to Be Careful about Gum Extract of C.Occidentalis? Cassia occidentalis is an annual shrub and there had been several controversies concerning the acceptance of c.occidentalis and cassia tora on equal terms. 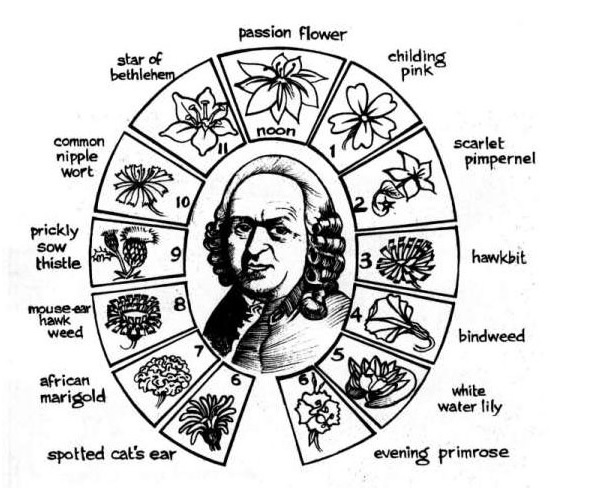 Carl Linnaeus observed the above two plants as two different species, however; later they were treated as similar. Controversies continued as many scientists took the way which Linnaeus approached and considered both as separate due to the presence of toxicity in higher lever in C.occidentalis. Gum extract obtained from occidentalis is also associated with presence of more impurities. Altrafine, one of the pioneers in processing and exporting seed gums provide high quality cassia tora gum powder which is prepared as per the food grade standards. 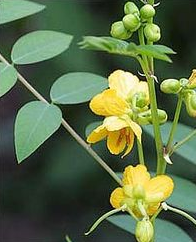 One of the main attempts we make is that we obtain cassia seeds of the safe species based on percentage of splits. 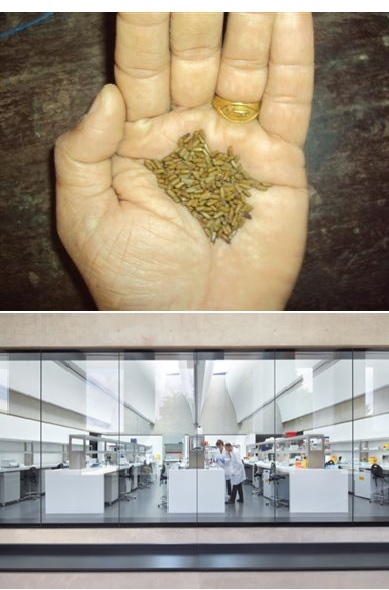 In this way, our R and D team manages to obtain cassia tora seeds by thorough examination of seed shape, size and color. Finally, the endosperms of splits obtained from tested cassia tora are processed for obtaining gum powder. There is one more species called C.obtusifolia which is also one among the leguminosae family and the seeds look identical to that of cassia tora. However, Crawford and Friedman have observed some detectable difference in the chemical composition of these seed varieties. The presence of anthraquinones had been yet another threat to toxicity of cassia gum. At Altrafine we process cassia tora gum powder through several mechanical processes to obtain it as a pure, refined gum extract with meager anthraquinone content. Contains comparatively highest percentage of Galactomannan which is about 82%. Contains 0.40%of acid-insoluble residue and 8.6% of moisture content. Contains considerable amount of copper, arsenic, zinc, etc. pH range if between 6.5-7.5%. Shows 80g+/- 10g of gel strength. The presence of colloidal polysaccharides provides good stabilizing and thickening properties which allows this product to stay very efficient for processed foods. Approved by Food and Drug Administration of U.S as a GRAS ingredient. Remains in its properties even when applied in highly concentrated application. Works effectively when combined with locust bean gum as well as xanthan gum for safe food applications. 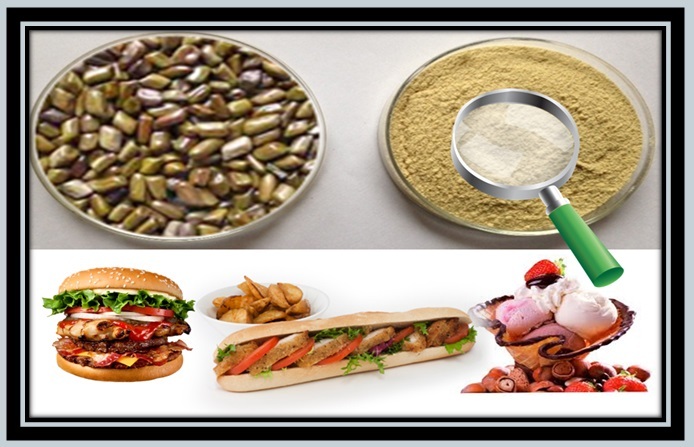 Cassia Tora seeds are processed to obtain the endosperm which is then processed into cassia tora gum powder. Due to the significance of multiple properties such as thickening and viscosity, this product has been successfully experimented with variety of applications including food, cosmetics, meat processing and many more industrial production processes. It is certainly a good commodity for commercial production requirement as a result of its multiple characteristics in combination with other ingredients several researches and experiments have been in existence to explore into its applicability in various fields. Altrafine is one among the leading manufacturer and exporter of cassia tora gum powder in India that has been working with experienced research professionals to process and obtain high grade gum powder from cassia tora endosperm with respect to the application requirement. 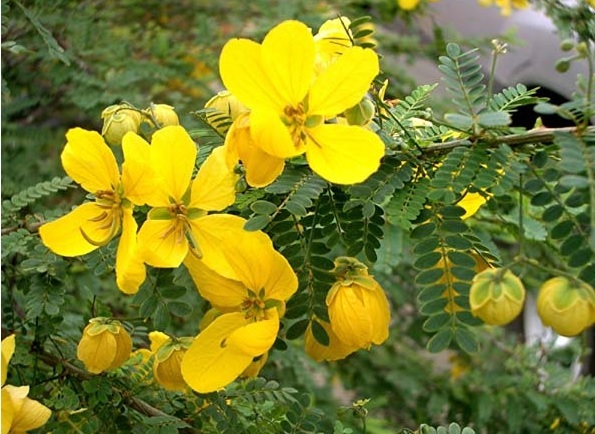 It has been proved based on research oriented studies that cassia tora contains less than 0.1% of occidentalis and comparatively higher molecular weight. However, more cleaning mechanisms have to be employed to remove the impurities and to provide this product suitable for safe application. The Center for Food Safety and Applied Nutrition Food and Drug Administration at Washington D.C have been involved in many researches and came out with the result stating that Cassia tora gum powder is safe to use as it was first demonstrated with animals to make sure of the lack of toxicity. It has been recognized for GRAS by experts and recommended for food, cosmetic and drug usage as well. Apart from that typical usage of Cassia gum has also been tested for different conditions of applicability in different products and industrial applications. According to Federal Food, Drug and Cosmetic Act, any ingredient that is accredited with GRAS or Generally Recognized as Safe after several examinations done by qualified experts. Cassia tora gum powder has also been approved in the same way to be commonly used for food, drug and cosmetic products. At Altrafine we adhere to the regulations of safety before we process or grade the gum powder range in accordance with condition of usage. These reasons have taken us to popularity among the several manufacturers and suppliers of gum powder in the Global arena. Experimentation on seed gums has also lead professionals to observe gum powder properties from a variety of angles. In the same way, cassia tora gum has been found to be cost effective in yielding more productivity in industries including textile printing, paper mill, etc, Soni . P.L, Singh S.V and Naithani .S has explained in their research article about “Modification of Cassia Tora Seed Gum and its application on beater additive in paper making”. There are similar kinds of research proofs have been into publication to highlight the effectiveness of adding cassia tora gum powder. Altrafine supplies industry grade cassia gum powder to worldwide nations and stays ahead in quality, purity, grading and certification as well.